Winter conditions can add to the risk of fender-benders and more serious car accidents throughout Massachusetts and Rhode Island. Icy and under-treated roads combined with distracted drivers increases rear-end car accidents up and down highways like Insterstate-95, Route 24 and I-195. After a being rear-ended, the impacted driver may walk away feeling a little tight in the neck or headachy and attribute it to stress or shock. Though this could be the case, they need to see a doctor and pay attention over the next hours or days to see if symptoms of whiplash begin to become evident. Seemingly manageable injuries like whiplash, concussion and dashboard knee injury can have lasting effects if not diagnosed early and treated properly. Let’s say you’re stopped at the light at the intersection of Route 6 (Kempton St.) and Route 140 in New Bedford. With no time to react you see a truck skidding into you in the rearview mirror. After the collision you’re stunned and aren’t quite sure if you’re okay. There are no obvious injuries, but your neck feels a little tight. A rear impact car accident like this causes movement of the structures within the neck changing the normal curve of the upper back and neck. The sudden backward movement (extension) and forward movement (flexion) can cause the joints of the neck to be injured and can also cause the muscles and ligaments of the neck and upper back to be over-stretched. The neck is particularly vulnerable to this type of injury because of its ability to move in many directions. It’s always a good idea to go to the hospital to be checked out after any car accident, just in case. Even if your neck pain is only mild, you should be examined by a doctor as soon as possible. It can sometimes take days or weeks for the true severity of your injury to come out. They may take x-rays to rule out any bone fractures. A CT scan or MRI may also be done if there is concern of you having a herniated disc or ligament injury. These tests are better able to identify soft tissue injuries than plain radiographs. Tightness or spasms of the muscles the neck or upper back. There are a variety of treatments for whiplash, depending on the severity of the injury. Fortunately, with time, the vast majority of people who have had a whiplash injury fully recover. Your doctor will test your range of motion and determine which muscles are injured. X-rays or other imaging tests will be taken to confirm that it is indeed whiplash. Pain medication will likely be prescribed, as well as a foam collar to reduce movement. In some cases your doctor may recommend physical therapy. 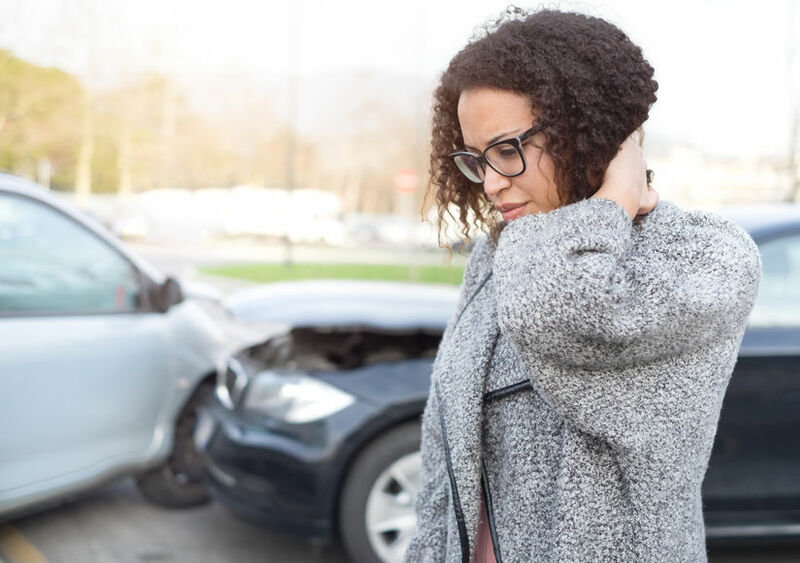 If you or a family member have been left with whiplash or other injuries in a car accident, please contact us to speak with an experienced attorney. Dussault & Zatir P.C. has lawyers on call at +1-800-542-4LAW to answer your personal injury questions. With offices in New Bedford, Fall River and Taunton, Massachusetts, as well as an office in Providence, Rhode Island, if you’ve been injured, our lawyers are here to fight for you.